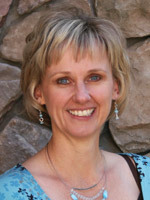 Angela Bonning recently became part of the NNH Family in March 2015. She previously spent the last 14 years with a contracted medical billing company for multiple providers in the Treasure Valley. She enjoys working with the staff at NNH who are very passionate about what they do, and admires the high level of commitment, care and knowledge each clinician provides to help individuals and their families. She has lived in the Treasure Valley for most of her life, and calls Meridian her home. She is married and has two wonderful daughters. Her greatest joy is spending time with her family and friends. Her hobbies include traveling, playing volleyball and reading.